Human nicotinic acetylcholine receptor (nAChR) polymorphisms occur in different ethnic populations and may result in differences in nAChR ion channel properties. We have identified four nAChR beta 4 subunit (β4) nucleotide variants: 392C→T, 526C→T, 538A→G, and 1519A→G. Their corresponding amino acid substitutions are: Thr to Ile at codon 91 (T91I), Arg to Trp at codon 136 (R136W), Ser to Gly at codon 140 (S140G), and Met to Val at codon 467 (M467V), respectively. The nAChR ion channel properties of these variants were studied and compared with the more-common (wild-type) allele as wild-types. The nAChRs (α4β4 channels) were expressed heterologously in Xenopus oocytes and studied using the two-electrode voltage clamp technique to reveal functional differences between the wild-type and the variants. The receptors containing the R136W and M467V mutations (or variants) had a higher sensitivity to acetylcholine and lower EC50 than the wild-type. The T91I mutation had lower sensitivity to acetylcholine and the EC50 was larger than in wild-type nAChRs. The S140G mutation had a dose-response relationship that was similar to the wild-type. The T91I, R136W, and M467V mutations (or variants) also showed a slightly greater degree of steady-state desensitization than the wild-type in response to a 30-min exposure to one tenth of their EC50. 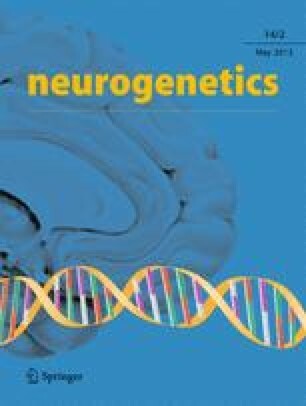 The present results demonstrate that human β4 nAChR DNA polymorphisms result in functional changes, and suggest that certain individuals with those variants may be more or less sensitive to cholinergic drugs or to dysfunctions associated with nicotinic cholinergic systems. We thank Dr. Laura Schrader and Dr. Hiroshi Tsuneki for technical help and the staff in Dr. David Sweatt’s laboratory for providing Xenopus oocytes. We thank Dr. Daniel Bertrand and Dr. Jon Lindstrom for providing human nAChR subunits. The work was supported by the National Institutes of Health grants from the National Institute of Neurological Disorders and Stroke and the National Institute on Drug Abuse. The experiments comply with the requirements for animal care for the Unites States and for Baylor College of Medicine.